The TMB Basketball Club aims high. So does their new Flexlock sports surface. Read more about Basketball Club's new Flexlock sports surface in Toulouse, and how this new flooring contributes to the team's overall athletic performance. Sometimes, good opportunities appear when least expected. One of our long-time customers, the “Palais des Sports de Compans” (a multi-sport facility in Toulouse, South of France) had installed several Tarkett Sport Surfaces such as Multiflex M and players were very happy with the performance of the floor. Unfortunately, water damage ruined the Multiflex M flooring system and it had to be replaced. When our customer told us the surface would need to be changed, we saw the opportunity to test the performance and qualities of one of our new sports flooring solutions called Flexlock in a real-life situation, before it was even available on the market. 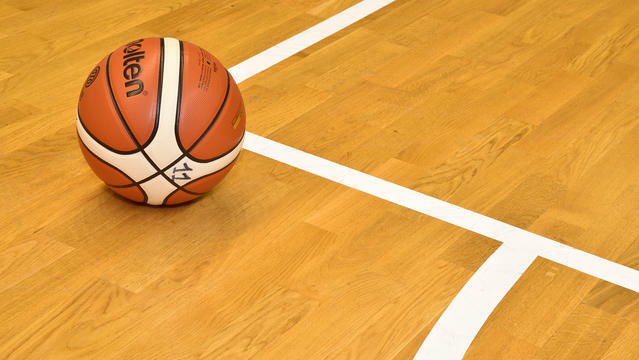 Tarkett’s Flexlock flooring system was installed the summer of 2016 at the “Palais des Sports de Compans” where the professional Toulouse Métropole Basket (TMB), a women’s professional basketball club, trains and competes with other professional teams. Apart from the TMB, two other basketball teams play in this stadium, an amateur basketball team and a wheelchair basketball team. Schools also come to play basketball on a regular basis. The three main expectations regarding the new sports surface were athletic protection, comfort and performance, and easy maintenance. A few months after the Flexlock sport surface was installed, we went to Toulouse to interview the Management team as well as the TMB Coach and Players, to hear about their experience with Flexlock. For the “Palais des Sports de Compans” Management team, the first and most important criteria was athletic protection. Serge Abescat, Palais des Sports de Compans Managing Director, says “the most important thing for us is the safety of our players on our sport surfaces”. Basketball is a sport that carries a risk for injuries, especially as the flooring is a hard surface. That is the reason why basketball courts need to have good shock absorption properties to reduce the risk for injuries. Lucie Carrier, one of the TMB players, told us “the flooring really absorbs shocks. I fell quite badly during a game last week but didn’t get seriously injured, apart from a few bruises”. “Palais des Sports de Compans” is a place where the TMB trains to compete with other professional basketball clubs. The TMB is a young and ambitious basketball club that was created in 2008 and strives to compete at a high level. To achieve this, the team practices, trains and plays at the “Palais des Sports” on a daily basis. The sport surface is a key pillar for the club’s success because it can enhance athletic performance and comfort. Camille, another TMB player, says she has “good sensations on this new sports flooring.” For the TMB coach, Xavier Nogueira, “the Flexlock sport surface looks modern, it is inviting, it makes you want to look at it and play on it”. Comfort and good sensations are important in Basketball, but there are also very specific requirements. With Flexlock, “the bounce of the ball (…) is uniform on the entire surface. This is very important for us.” says Xavier Nogueira. Lucie, one of the basketball players, confirms that “the bounce of the ball is very good on this sports surface. There are no places where the ball bounces differently, the bounce of the ball is the same everywhere on the court, which is not the case in other gyms where we play”. According to Managing Director Serge Abescat, “the Flexlock surface is easy to maintain”. The cleaning protocol used at Palais des Sports for the Flexlock surface is quite simple. They use only clear water every two or three days to get rid of dust. Indeed, dust can affect the adherence needed between the foot and the floor. Every four months, a more thorough cleaning is carried out with a detergent that is dissolved in water (10% of this product). The maintenance therefore requires very little detergent and is quite easy to do. Due do the little use of chemical detergents, this cleaning protocol also enables cost savings and even makes maintenance more environment-friendly. With the installation of the Flexlock sports surface, our close collaboration with the “Palais des Sports de Compans” went to the next level. We were happy to contribute to the TMB's athletic success all the while benefiting from the players feedback on the product. Best of luck to the TMB in all of their future endeavors!